South Cotabateños, let's all watch this Sunday's episode of AHA! the info-magazine program hosted by Drew Arellano on GMA-7. Tomorrow's episode will feature some of our province's tourism destinations including the 700 meters zipline and the waterfalls of Lake Sebu, DOLE's pineapple plantation in Polomolok, and the Tarsier Sanctuary in Brgy. Linan, Tupi, South Cotabato among others. This Sunday, join the AHA! gang as they go all the way to South Cotabato! Doorah d' Lakwatsera visits one of the country's most prized tourist destinations-Lake Sebu! 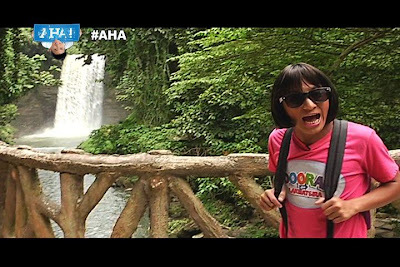 Watch Doorah as she soars through a 700-meter zipline to reach the scenic Seven Falls of Lake Sebu. And speaking of waterfalls, ever wondered how nature forms these wonderfully refreshing bodies of water? 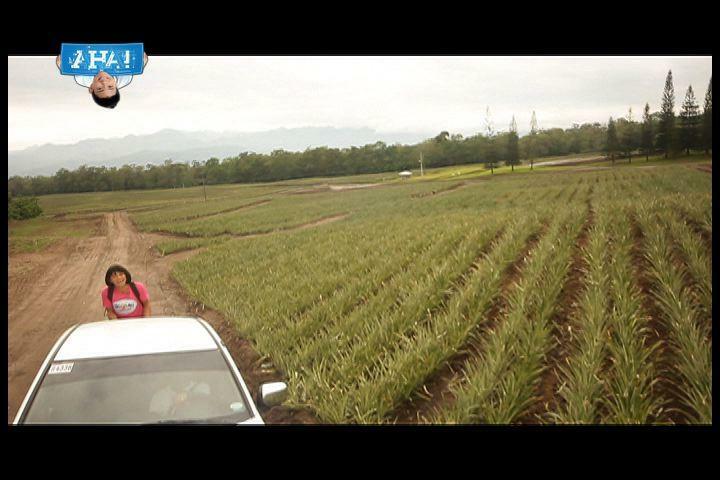 South Cotabato is also known for its tangy and flavorful pineapples. This week, discover the science behind the legend of the eye-full pineapple and get to visit one of the world's largest pineapple plantations in South Cotabato. From the world's biggest to the world's smallest! Get to meet the world's tiniest cryptographer, or creature that has its own secret speech-the Philippine tarsier! Just when everybody thought this big-eyed, cute little creatures can only be found in Bohol, think again! All these and more in AHA! this Sunday morning, after Slamdunk, on GMA-7.